The atlas supports the weight of the head most efficiently in the neutral, otherwise known as the orthogonal position, or 90 degrees to the head and neck. One form or another of trauma is the primary cause of misalignment. 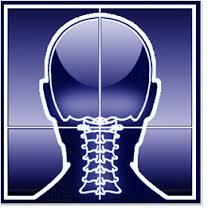 The atlas vertebra may be pushed out of proper alignment when it is subjected to stresses and strains. Trauma shows in many different forms of which here are the most common: car accidents (no matter how minor and regardless of immediate symptoms), slips and falls, blows to the head, or sports related injuries. Repetitive micro-traumas, as in poor posture, improper lifting and carrying, or bad sleeping habits, can also cause misalignment. When the atlas is moved out of its orthogonal (neutral) position, the body tries to compensate to maintain its center of gravity by keeping the head directly over the center of the feet. However, to maintain the level position of the head, the rest of the spine adapts and is thrown out of alignment, causing the body to compensate. Thus can alter the body structure so the muscles contract to cause one leg to appear shorter. In most cases, one leg is not actually shorter than the other, but is drawn short. The resulting misalignment may cause nerve pressure and inflammation, causing a disruption of the normal functioning of the nervous system. This one dysfunction may create a multitude of symptoms and pain in different areas of the body, not only impacting the neck (effects like decreased curves in the neck), but also possibilities of scoliosis, and changes in the alignment of the shoulders and pelvis. These changes affect the structural integrity of the whole skeletal system, which can result in other symptoms and issues, especially headaches, neck and facial pain. Our atlas orthogonists, (both Dr. Connie Lang, and Dr. Stacy Struble) treat this condition through a system of examination and diagnosis that utilizes a detailed scientific and bio-mechanical protocol. Precise measurements of the angle of the atlas are the basis of the treatments. An extensive evaluation of the patient's condition is rendered by the doctor on the first visit. A complete and thorough history is critical in aiding the doctor in the proper diagnosis. This history includes asking a variety of questions pertaining to every aspect of the patient’s symptoms and injuries. The exam also includes orthopedic/neurologic, and postural assessment of imbalances in the spine that would lead to problems with the health of the spine and its related symptoms and pain. The first step of the diagnosis is to determine the degree in which the atlas is misaligned. Very precise x-rays are taken which show the doctor exactly how the atlas is displaced. The x-rays taken are invaluable in making the most precise atlas correction which is as unique to the patient as their own fingerprint. Following the diagnosis, a specific treatment protocol is developed to align the atlas into the correct neutral / orthogonal position. restored to it's normal position. In the game of pool (billiards) – if you have two balls sitting side by side and a third ball strikes one of the two, the ball being struck remains still while the one not struck rolls away – this is percussion. In the adjusting head of the instrument, there is a solenoid that strikes a stylus. The stylus does not move, but allows for percussion to be transmitted through the tip. The tip is placed over the side of the 1st vertebra and the percussive force moves the vertebra in the desired direction, based on the coordinates set by the doctor. One of the most important post adjustment steps are post x-rays, which are taken immediately after the initial treatments. There is no guess work to this treatment. These x-rays are taken and analyzed to verify that the best possible correction was rendered. The doctor may then show the patient the comparison between before and after x-rays. Post x-rays are an illustration of the exact change that has taken place because of the atlas orthogonal correction. Heights Atlas Orthogonal Chiropractic Clinic (HAOCC) uses the SIGMA™ instruments to measure the stiffness of the tissue or joint by applying a light mechanical force in the form of an instantaneous shock wave and oscillating frequency; a signal is then reflected back to the piezoelectric sensor, which measures these reflective statistics, sending it to the computer for interpretation, all before the muscle can respond. The process occurs so fast that it reduces the normal defense mechanism or guarding response, caused by typical palpation. SIGMA Instruments uses the same sensing technology that the aviation industry and engineers have used, in order to test metal fatigue in aircraft and bridge spans. Practitioners can now use this highly-sophisticated technology to analyze joints and tissue with increased precision and confidence. With this technology, musculoskeletal conditions can be managed by increasing range of motion, eliminating fixation and improving functional capacity of patients through specific manipulative techniques assisted by the instrument in a precise and reproducible manner. The SIGMA Instrument enables the practitioner to analyze using a sophisticated instrument, treat the dysfunctional area and then reanalyze. This provides pre- and post-data which is very beneficial while overseeing the patient's course of care. It provides a method to track treatment progression that is precise, gentle and preferred.